French communists gave support to the 'Yellow Vests' manifestations protesting the rise in fuel prices. Last weekend, near half a million protestors took to the streets of France for protesting the increase in fuel prices under the pretext of "green taxes". Protestors were called "Yellow Vests" because they wore high-visibility jackets that all motorists are legally obliged to carry in their vehicles. 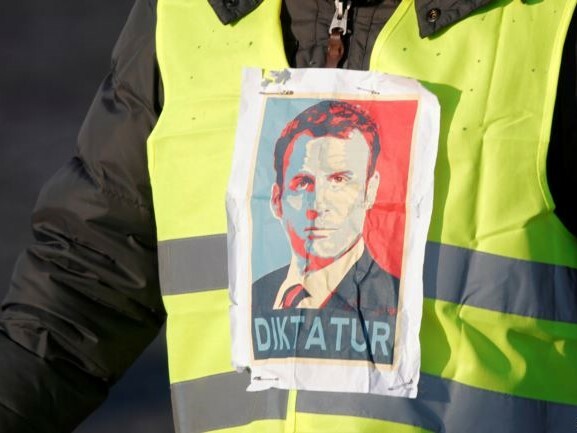 Rallies and route blockades were organized via the internet without the direct involvement of trade-unions and rapidly became a revolt of rage against the "president of the rich", Emmanuel Macron. During the manifestations, more than 400 people were injured, more than 300 were arrested and a woman was killed by an angry driver forcing its way through protestors. The French Communist Party (PCF) issued a statement on November 15 calling for "making retreat the president of the rich and proposing measures for ecologic transition". The PCF exposed the "presents" that Macron will offer the wealthy and private companies in the new year at the expense of the poor and called for reversing this policy. The seven alternative propositions that the PCF listed include an increase in salaries, tax increases for fuel companies - especially Total Group - and big companies in transportation, a special tax for aviation fuel, massive investment in common transports, decrease in value-added taxes for primary consumption goods, prohibition of the importation of diesel vehicles, and an ecologic transition based on social justice. The Pole for Communist Revival in France (PRCF) described in its leaflet designed for the Yellow Vest mobilisation the capitalist regime of Macron, the EU and MEDEF (employers' union) as "to tax the poor and subsidize the rich". It was criticized that motorists are obliged to pay more in the name of ecology while ecology serves as a pretext. The PRCF denied that ecology is respected by the government or the EU which carry the responsibility of authorizing Total Group for further investments, imposing the privatization of common transports and inciting workers to buy diesel cars. The PRCF declared its support for the success of the manifestations and emphasized the urgency for waging a popular struggle for salaries that will target the government, big companies and the EU and that will go hand in hand with the struggle for the development of public transportation for the sake of ecology and popular needs. See the link for the statement of the PCF in French. See the link for the PRCF flyer on L'Initiative communiste.